On 29 January 2012 at the International Film Festival in Rotterdam I saw the first screening in the Netherlands of the newest film-version of Wuthering Heights. I found it impressive. It is real and rough. The director and screenwriter Andrea Arnold made the right choices. Wuthering Heights and Thrushcross Grange are farms, not mansions. And Heathcliff, Cathy, Hindley and all are played by amateurs/non-actors. The film is made from Heathcliff’s point of view, because the director asked herself why he would do the bad things he does. He becomes as bad as the weather: it rains or storms all the time, there’s mud everywhere: earth has a leading role. And never music, except when Cathy is singing. And never a sunny day. But the director also makes very subtle scenes, like the one when Cathy goes mad and pulls the feathers from her pillow: you only see the feathers inside the house from outside through a window. This way of using windows to tell certain scenes made me think that Andrea Arnold knows Emily’s writing very well. And it makes me wonder what people who did not read the book (half the audience) make of these kind of scenes. The director was interviewed before the screening and she told the audience that she read the book in girlhood and that it made a profound impression on her, like on many readers. 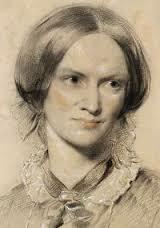 But she also thinks that she and all the directors before her are mad to try to make a movie out of Wuthering Heights. It’s a stupid thing to do, not a sensible decision. Nobody can master this book! Leave it alone! Well fortunately she didn’t and though I can never forgive her (nor the other directors) for not telling the story of the second generation, I still think you should see this film. And I like this director not only for her film but for the best advice she gave her audience in Rotterdam: Read the book! Jane Eyre on the Brussels Stage, 1855. The film Jane Eyre is currently being shown at all the major cinemas in Brussels, and is receiving enthusiastic reviews in the Belgian press (e.g. Le Soir, 11 January 2012). Perhaps it is an opportune moment to point out that Jane Eyre had its first representation in Brussels as far back as 1855, the year of Charlotte's Brontë's death. 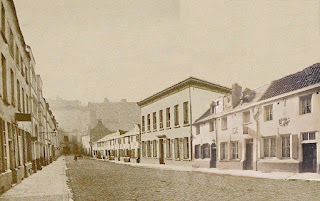 On 29 November 1855, the drama Jane Eyre was premiered at the Théâtre du Vaudeville, on the Rue de l'Evêque, 23 (near the present day Place De Brouckère). It was a play in five acts, co-written by the Paris-born Alphonse Royer (1803-1875) and the young Brussels writer Victor Lefèvre (1822-1904). Dramas inspired by Jane Eyre had already been performed before this date, notably in England and in Vienna, where in 1853 a version written by Charlotte Birch-Pfeiffer entitled Die Weise von Lowood (The Orphan of Lowood) was first performed. However, the Royer/Lefèvre production was the first version of any Brontë work to reach the Brussels stage. The text of their work was published in Brussels by Parys in 1855, but it has proved impossible to find a copy in Belgium. Apparently there are copies held at the Bibliothèque Nationale de France, and Utrecht University Library, which we hope to check out in the near future. As with the 2011 film directed by Cary Fukunaga, the 1855 theatreproduction received very positive reviews in the contemporary press. The anonymous theatre critic writing in Méphistophélès (02 December 1855) finds but a few "petits défauts" in the piece, and praises the elegant and flowing quality of the dialogue. He is especially pleased by the performance of the two main actors, Mademoiselle Magnan playing Jane, and Monsieur Quélus as Rochester, declaring " ils ont triomphé sur toute la ligne". Meanwhile Eugène Van Bemmel in the Revue Trimestrielle ( Volume 9, 1856) states that it is a long time since he has witnessed the public so enthralled by a drama. Interestingly, he observes that there is no need to explain the subject matter of the play, "which is known to most of our readers ". It's not certain of course, to what extent Van Bemmel's readers knew that the author of Jane Eyrehad lived in their city, often feeling lonely and unhappy, a mere twelve years or so before. 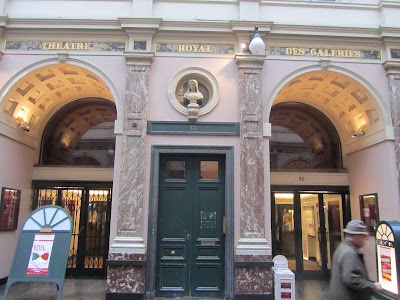 The drama was so successful that in December 1855 it moved to the larger Théâtre des Galeries St.Hubert, for a further series of performances. This theatre, built in the 1840's, had a capacity of about 850 places, and has survived to the present day. It is located but a few hundred metres away from where the Heger-Parent pensionnat once stood. Heger and his wife were very fond of theatre, and who knows, perhaps they may have attended the show based on the work of their ex-pupil. What an experience this would have been for Constantin, to behold on stage the character of Rochester, in part modelled on himselfl! Despite the acclaim it received in 1855, Royer and Lefèvre's Jane Eyre doesn't seem to have been presented again on the Brussels stage. If the original text of the work could be located, perhaps a new production could be envisaged some time. The Brussels production in 1855, though little known about, had at least one major influence on the history of world literature. At the same time as the play was being performed in Brussels, the legendary French author Alexandre Dumas (1802-1870) was putting the final touches to his own drama based on Charlotte's novel. However, when Dumas got news that Jane Eyre was already being played on the Brussels stage, he promptly abandoned his own version. The text of Dumas' work went missing soon after, and has never been recovered. 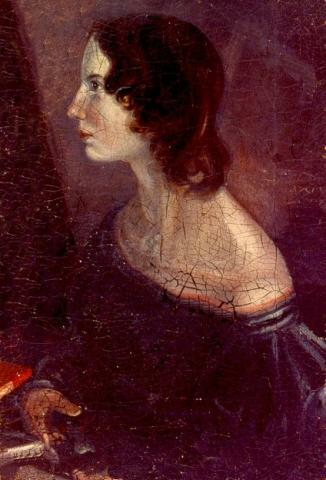 Unless it turns up some day, we're unlikely to ever know how the great Dumas chose to interpret Charlotte Brontë's novel.